Extreame Savings Item! Free Shipping Included! 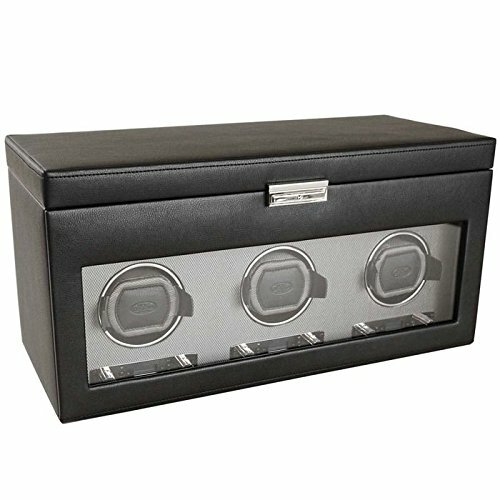 Save 44% on the WOLF 456302 Viceroy Triple Watch Winder with Cover and Storage, Black by WOLF at Social Seeker. MPN: 456302. Hurry! Limited time offer. Offer valid only while supplies last. Patented Innovation - Every WOLF winder counts the precise number of rotations. All other winder estimate the number of rotations. If you have any questions about this product by WOLF, contact us by completing and submitting the form below. If you are looking for a specif part number, please include it with your message.